Stories about parties here made this my primary destination for the recon. 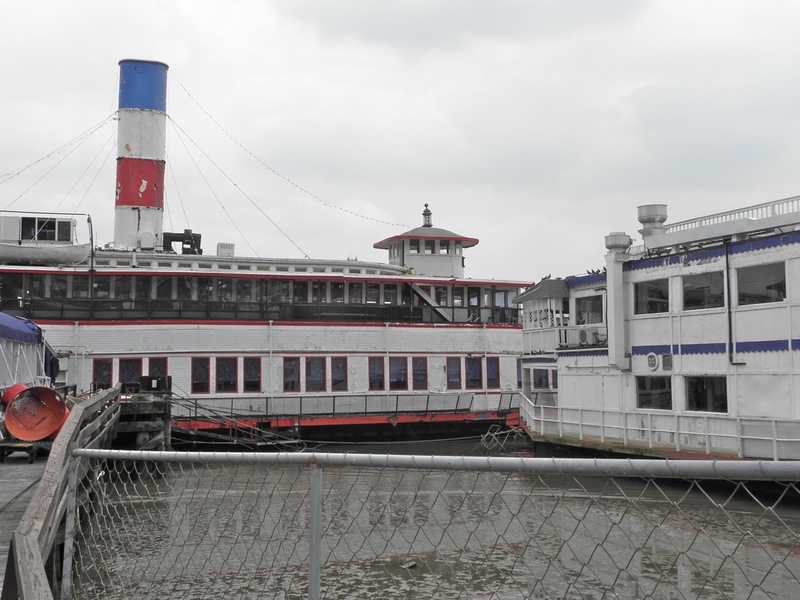 Binghamton is the sole survivor of six identical “double-ender” steam ferries built in Newport News, although by cursory external examination, I’d say calling her a survivor at this point is an exaggeration. 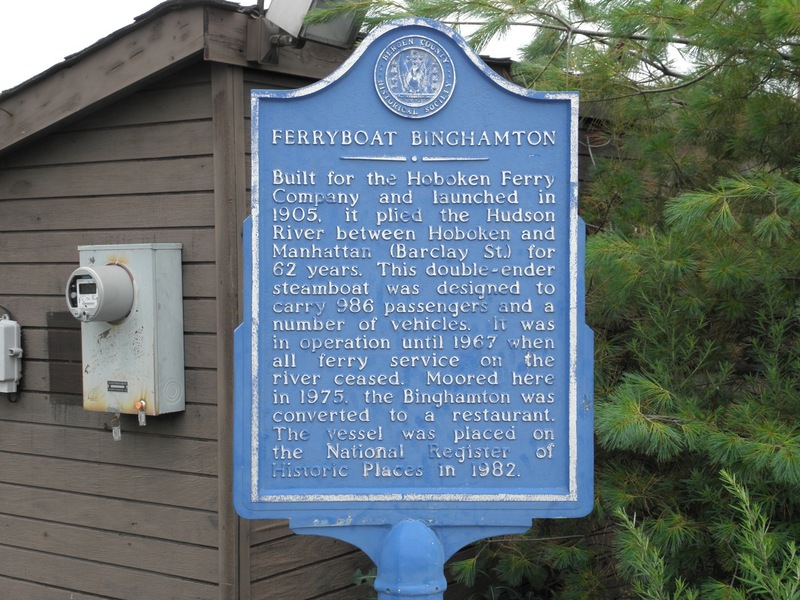 Binghamton arrived in a sixth boro at a time when 150 or so similar ferries served these waters! How many crossings carrying how many passengers would she have seen between 1905 and 1967? How many livelihoods? Her passenger capacity was 986! Plus vehicles. In the early years that would be horses, too. with their own engine parts depot. 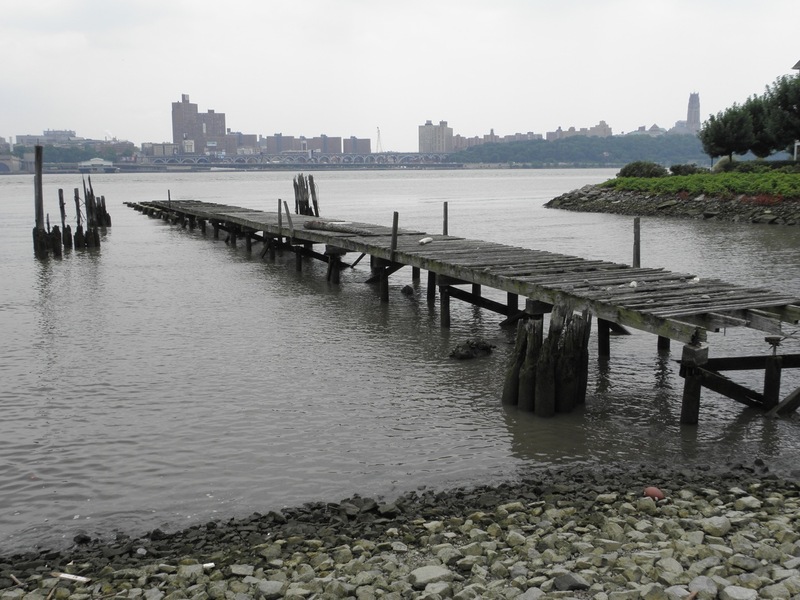 Maybe this is a remnant of the disappeared shad fishery of Edgewater. Here are names of some of the last shad fishermen. By the way, in the foto above, that’s the Way Upper West Side across the water. and past this pier housing with storage for cars beneath. Now if I lived here, I’d surely buy and amphicar . . . and maybe equip it like an alligator tug . 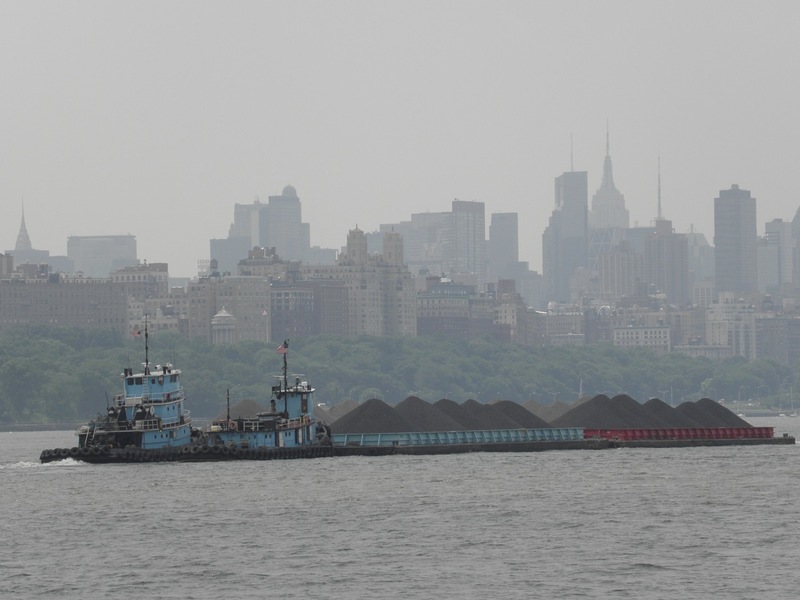 . . and if 10,000 other residents of the sixth boro shoreline had similar equipment . . . I pause in contemplation. 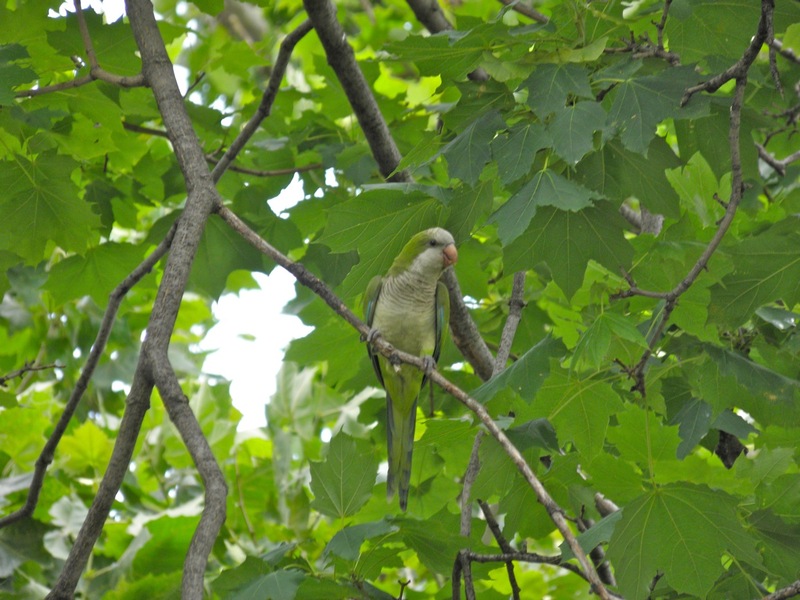 birds like these inhabit the trees. Who knows what else I might find there? I’m not in the commercial blogging business, but I do intend to check out Cafe Archetypus. Anyone recommend it? All fotos and any errors here by Will Van Dorp. Note: the interactive map (first image in Loose Ends 1) can get you to this area: just head north along the river. 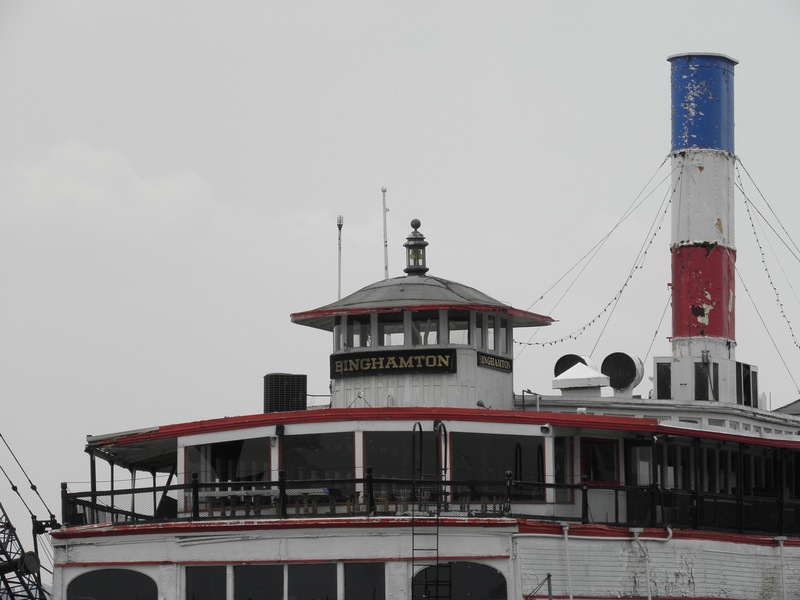 Binghamton can clearly be seen, although on the map, the crane barge is not alongside. 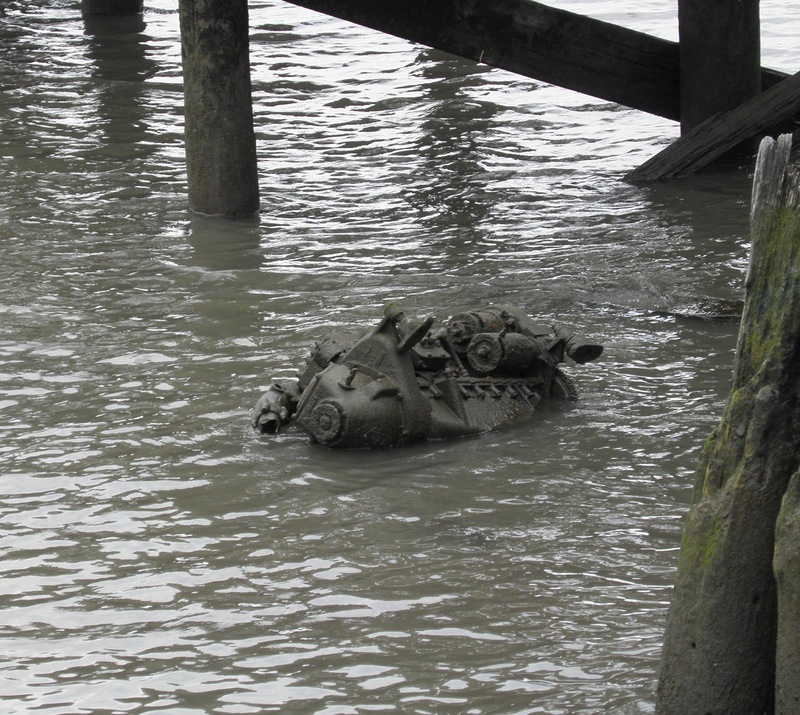 For some historical fotos of the area of my recent tramp, click here for railyards, banana piers, pier houses, the “bridge that never was” thank you very much, 1950s cars awaiting a ship for export, crashed ferry stabilized by a tugboat, old style planting poles for shad nets, and you can sift through here to find more nuggets. 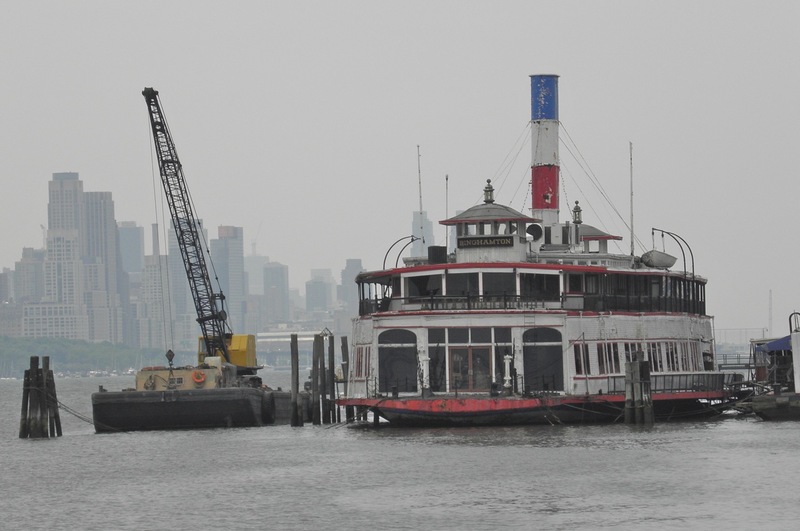 There are a few of those old ferrys laying around, NY Waterways used to use one as a Terminal at Port Imperial in Weehawken, NJ. 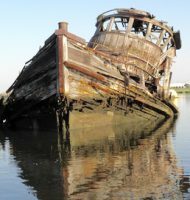 Then there’s another, sitting high and dry on the Raritan River mud in East Brunswick waiting to be scrapped, though it may have been by now. 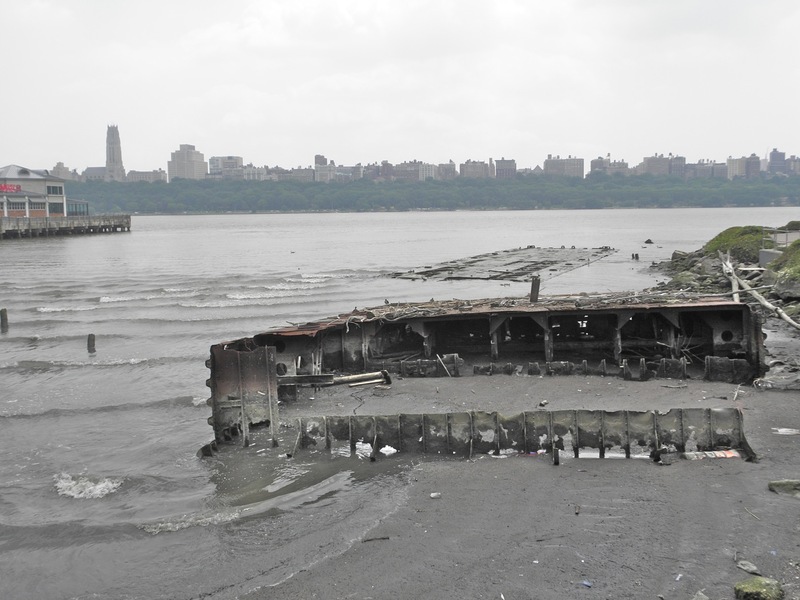 There were also two very old, wooden steam ferries in the Arthur Kill Graveyard though they were pretty well gone when I last passed by, they were Civil War era, both were Walking Beam Driven. 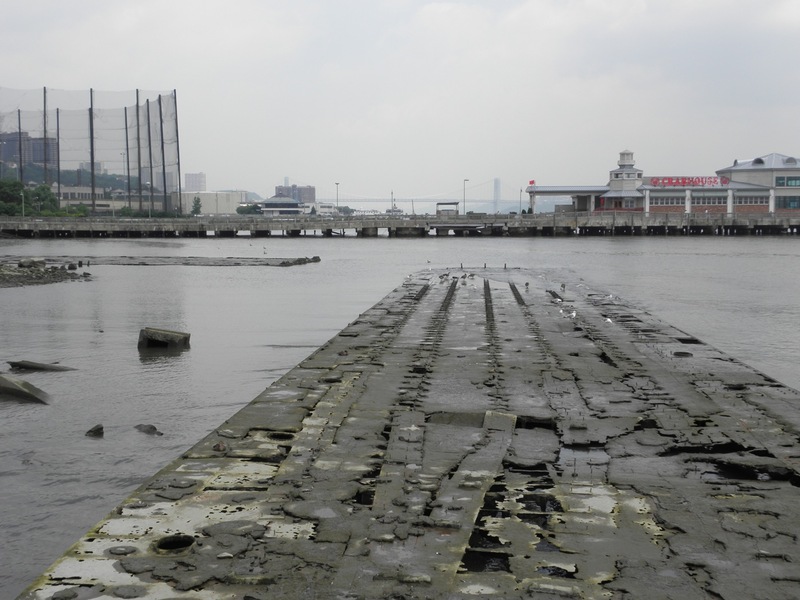 The Port Authority & NJ Transit dropped the ball very badly when they planned that all that passenger traffic would go through the two Pennsylvania Railroad tunnels, the vehicle tunnels and the Sixth Boro Ferry at St. George. They need to invest in six or ten new boats the size of Binghamton for use on the East & North Rivers to replace that fleet of small boys. “”They need to invest in six or ten new boats the size of Binghamton for use on the East & North Rivers to replace that fleet of small boys.”” absolutely ! I had dinner in the Binghamton many years ago. I didn’t take photos but remember her as being very modern – lots of brass, chrome and vinyl. What was once the car deck was converted to restaurant seating in booths. The upper deck, if memory serves (and it often doesn’t) was a bar and dance floor. 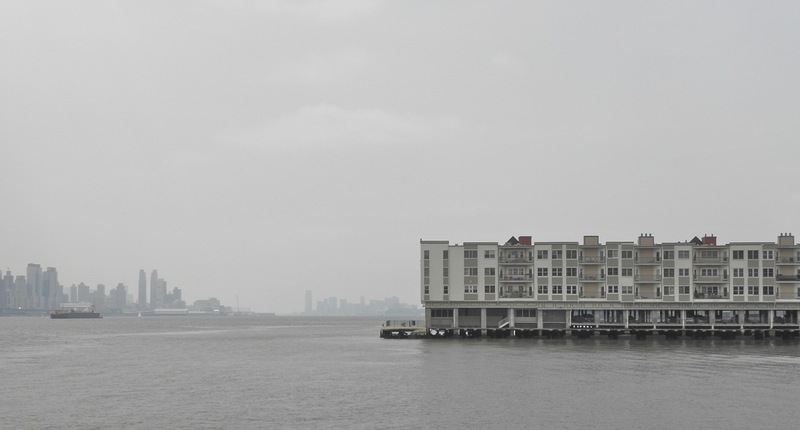 Why are the waterfronts either completely run down or ultra-luxury condos? It seems like this everywhere. Crazy. Not only that, whenever there is a “park” along a NYC waterfront it is wall to wall Pilates, Beer Garden, Trapeze school, finger painting, dog runs.. I mean, good stuff, to be sure…not to be belittled, but here is hoping when the dust settles, the utopia spares a few acres for at least one heliport, a hotdog vendor and a couple of squirrels.